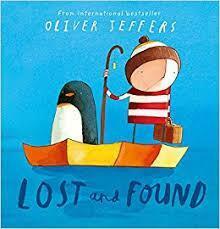 In English this week we have been reading Lost and Found by Oliver Jeffers, a lovely story about a boy who meets a lonely penguin. We have been sequencing the story and retelling it. There was some fantastic writing in Year One this week! Rulers were out in force this week as Class 6 were measuring everything in sight! We measured length and height in centimetres, with some children even measuring height in metres. We used mathematical language to compare lengths and heights too! The children were brilliant at classifying animals in carnivores, herbivores and omnivores, and animals that lived on land and in the sea. Star Writer this week was Layla for a fantastic effort in retelling the story of Lost and Found. She nearly wrote a novel, and Miss Thacker was SO proud of her! Our Star Mathematician this week had to be Malek, with his super measuring. Malek was fantastically accurate when using his ruler, always remembering to start from the zero. Well done Malek! Miss Thacker was AMAZED this week when she asked the class why bearded dragons needed a heat lamp. Taylor's detailed answer blew her away and even Miss learnt a thing or two! We love hearing Taylor's vast and expert knowledge about different animals in class. This week we've been looking at animals that live in hot places! The children have created some beautiful reports on reptiles using capital letters, finger spaces and full stops. In Maths this week we've been partitioning numbers into tens and ones. We enjoyed a fun video showing us how to partition numbers between 10 and 20. Practising counting up in tens at home will really help your child to get to grips with those higher numbers. Children often find the ue sound one of the trickiest out of the range of sounds they learn for phonics. In the phonics screening, ue (as in glue and ew as in chew) can be a stumbling block. We have been remembering the ue sound as "oo and yoo". Ue as the oo sound can be found in some words (blue, glue) where as ue as the yoo sound can be found in other (tissue, statue). Phew! What a tricky sound! We did some great work on balancing in PE this week. Although I think Miss Thacker needs more practise, as she's always falling over the whiteboard, her chair and her own feet in class making the children laugh. Sophie was our expert balancer, who will win PE Star next week? It was a tough choice with all the fantastic work going on in Class 6, but our stand out Star Writer this week was the brilliant Matilda! Her report on reptiles was BBC Bitesize worthy! Well done Matilda, the improvement in your handwriting, letter and sentence formation is amazing! Isla is a math's genius this week as she whizzed through partitioning two-digit numbers into tens and ones, even writing these as sums. Fantastic work Isla! One full week completed already! This week, we've been looking at animals that live in cold places and the children have impressed me with their vast knowledge of animals. I'm convinced we have some future vets and marine biologists in Class 6! In English, we've been writing sentences about animals that live in cold places, focusing on using capital letters, finger spaces and full stops. We've also been using some question marks! In topic, we've been thinking about different habitats, as well as looking at some Kandinsky art pieces. Our Star Writer this week was Magda! Well done Magda, all your sentences had capital letters, finger spaces and full stops! What a super writer! Riley was our Mathmagician this week with brilliant effort in adding and taking away! Paris did us proud in PE this week with her fantastic work moving safely around the hall in different ways. To finish off a great week, our class won the attendance trophy with 100% attendance! Go Class 6! I've loved all the home time chats with parents this week! The children have settled in fantastically to Year One! We've caught up with friends, explored our new classroom and got to know our new teacher Miss Thacker! We hope you've noticed our exclusive 'Star Writer' boards outside in the corridor. Each week, Miss Thacker will choose a child who has made improvements in their writing or have tried extremely hard. Our 'Star Writer' will have their name up in lights on the board with their impressive piece of work. This week's Star Writer was Reuben! Well done Reuben, you've focused really hard on letter formation. Our PE day is on a Monday, with some occasional Friday PE lessons. Please ensure all children have a PE kit in school. We can't wait to see what Mr Tierney has in store for us! All children were issued with a new reading book, home reading diary and bookmark this Friday. We have a box at the front of class where we can return finished books to be swapped. Home reading diaries will be taken in on a Friday for Miss Thacker to update bookmarks with those all important stickers! This half-term, our topic is Penguins, Possums and Pigs. Although we're familiar with penguins and pigs, some of us have been wondering what possums may look like, what they eat and where they might live. It's been great to get to know your children and families this week.